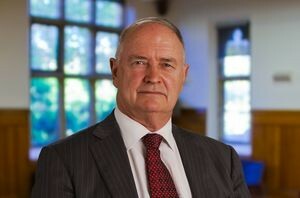 On Thursday 9 October, the University of Melbourne’s Professor Garnaut will present a lecture at the London School of Economics and Political Science (LSE) on where the global economy is headed, considering a diverse range of nation-states including Australia, China, Indonesia and Papua New Guinea as examples. The challenges that fertility rates and climate change pose for the global economy will also be addressed. Ross Garnaut is an economist whose career has been built around the analysis of and practice of policy connected to development, economic policy and international relations in Australia, Asia and the Pacific. He has held senior roles in universities, business, government and other Australian and international institutions. He is a professorial research fellow in economics at The University of Melbourne. Professor Lord Nicholas Stern will Chair the event. Professor Stern is IG Patel Professor of Economics and Government, chair of the Grantham Research Institute and chair of the Centre for Climate Change Economics and Policy at the LSE. To follow and participate in this event on Twitter: #LSEGarnaut. Read more about this event on the Capitalism, Socialism and Democracy in the Twenty First Century web page.